Rukmini Iyer creates a decadent chocolate mousse layer cake, zested up with lime for a wonderful citrus kick. This cake – as with so many interesting dishes - came about as the result of a happy culinary accident. 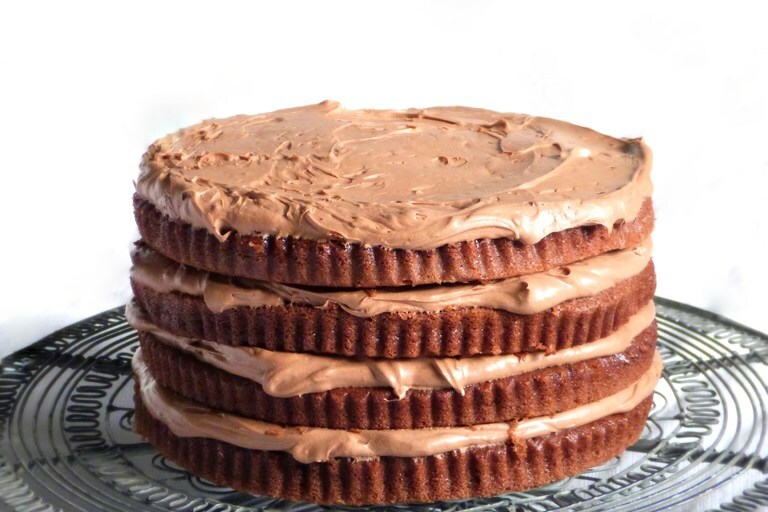 I had grand plans for it to become a dark, towering, glossy affair, referencing the cake that Bruce Bogtrotter manfully chomps his way through in Roald Dahl’s ‘Matilda’. But, with the chocolate, double cream and lime poised by the stove and ready to turn into a deep, rich ganache, I spotted a couple of spare eggs, and started to think – what the hay, I always make lime ganache - but what about a chocolate mousse? So, with a little trial and error, this home-made and infinitely more grown up version of a Sara Lee gateaux emerged instead. Despite its beguilingly light and airy look, you’ll find the cake quite rich – one to serve in delicate slivers rather than big wodges. 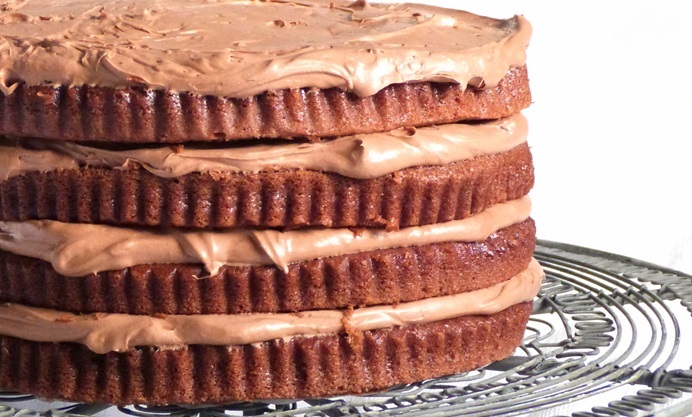 For the all-important cake base, the best way to get a good hit of chocolate flavour, without drying out the cake, is to replace a quantity of the flour with an equal weight of cocoa powder, instead of adding the cocoa powder on top of the classic flour-sugar-butter ratio. This principle works with all types of chocolate cake, so the multipurpose recipe below will work for tray-bakes, cupcakes or a layer cake.